So when is an Autumn Crocus not an Autumn Crocus? When it’s a Colchicum!! 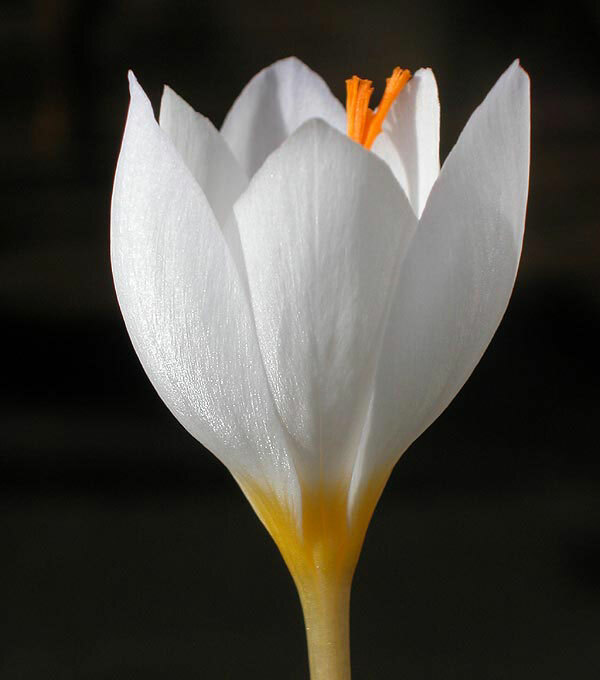 Way too many books and presenters refer to the Colchicum as an Autumn Crocus. These are not related to Crocus at all but they are in the family, Colchicaceae, which includes Merendera (now Colchicum), Gloriosa and Ornithoglossum. True Crocus are in the Iridaceae family that includes Crocosmia and true Iris. If I include early and late flowers among my collection of Crocus I could almost say Crocus can give five months of interest. 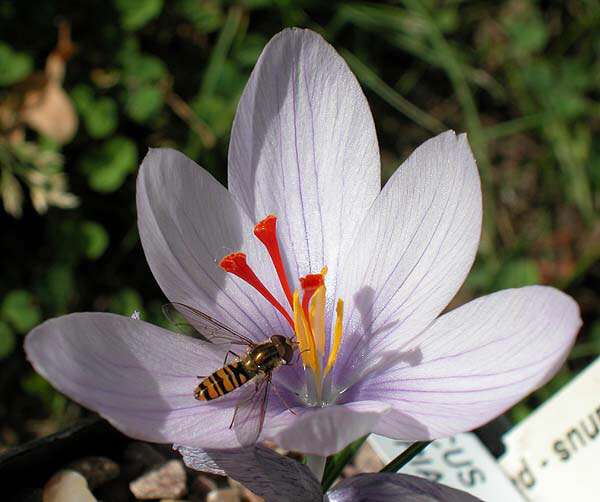 The main flushes for Crocus are February and late September into October. In this short article I will only write about the autumn flowering species. My usual potting mix was an equal parts mix of Westland top soil and grit with half a part of leaf mould and added bone meal. This year my repotting followed the views of Ian Young. 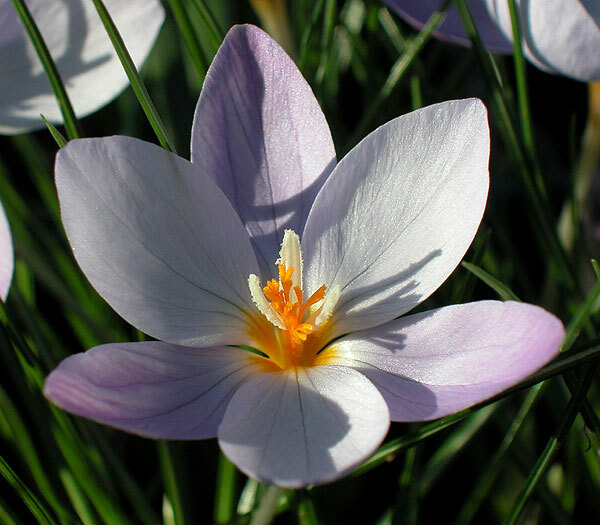 Crocus require a faster draining, moisture retentive mix to copy where they grow in the wild in Greece and Turkey. The potting mix, mixed in my wheel barrow, is now one bag of grit and one bag of horticultural sand, a bucket of leaf mould, thanks Margaret!, and a cup of bone meal. This I mix by hand until the mix is even. Christmas is coming so if I’m good maybe Santa will deliver a cement mixer. It’s amazing how fast this mix drains. My old mix would sometimes take minutes to leave the surface. It’s very exciting when the first noses appear in pots in the greenhouse. The pots have stayed dry in there since the leaves yellowed. Now is the time to give them a good water to get the roots going. 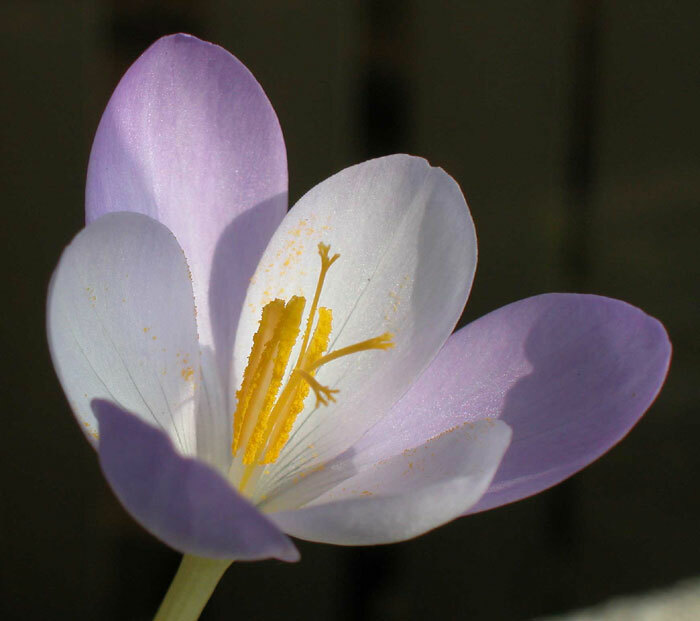 It can take only a day or two for a Crocus to flower from the first bud appears. There could be five or more flowers from one corm and this is nature way of spreading the flowering period so all flowers are not hit by weather or eaten. In the greenhouse I move them to the bench as soon as the bud extends. In there they are not battered by wind or rain and they remain pristine until pollinated by a queen bumble bee or hoverfly. This warm autumn has been brilliant for Crocus. They have showed themselves off very well. Once the flowers are over the pots go outside. In late winter when the leaves are at their best I begin to feed the bulbs with Sulphate of Potash or tomato food to help build the corm for the following year. 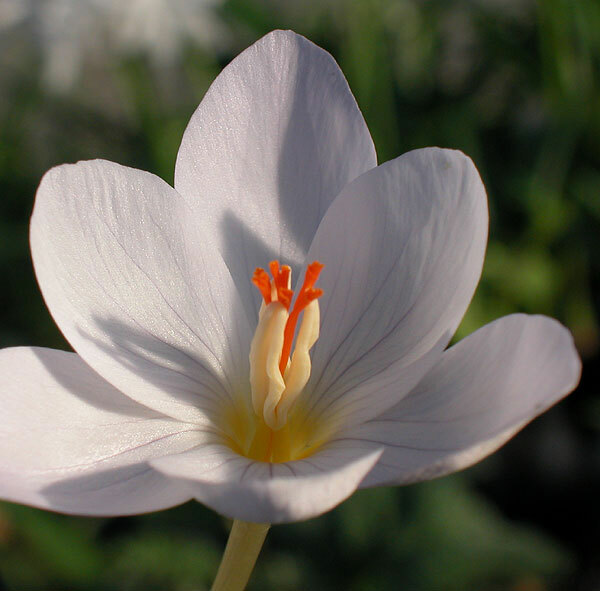 Some of the best Crocus for the greenhouse, bulb frame or garden are the smaller species. 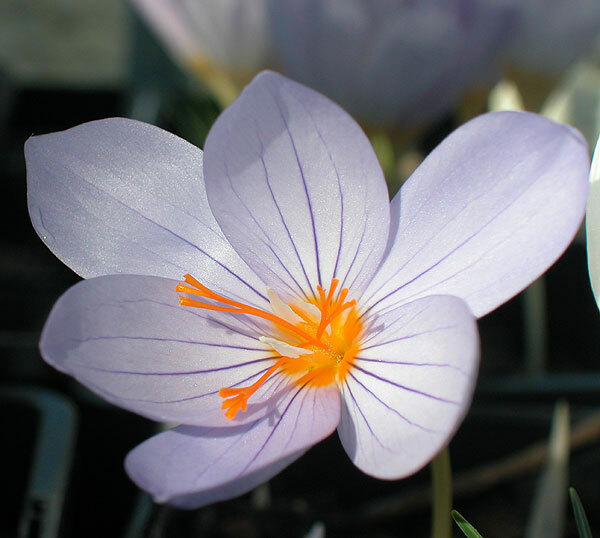 Crocus speciosus that is widely available in garden centres and catalogues has been produced from Dutch selections to be tall. This has a downside because it doesn’t stand up very well to wind and rain.